LEXINGTON, KY — Georgetown, Kentucky resident Joey Lee Bailey had a blood alcohol content level nearly four times the legal limit when his pickup truck struck an SUV carrying the Abbas family of Northville on January 6, a Fayette County coroner has found. Bailey’s BAC measured at .306 according to a report from Kentucky.com, as found by coroner Gary Ginn, nearly four times the legal limit of .08 percent. 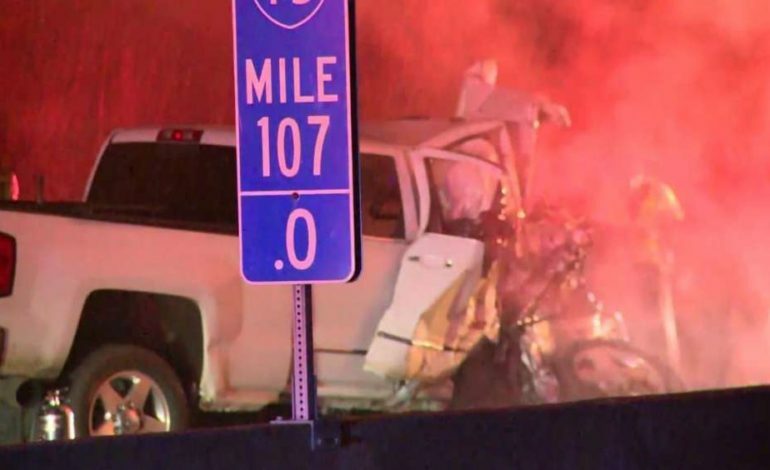 The crash happened on I-75 near Lexington and took the lives of all five members of the Abbas family, including Issam Abbas, 42, Rima Abbas, 38, and their children Ali, 14, Isabella, 13, and Giselle, 7. They had been traveling home from a Florida vacation. Bailey was driving at an estimated 88 mph the wrong way prior to the crash, and was traveling at about 66 mph at the time of impact. The family died of blunt-force trauma and thermal injuries, the Kentucky.com report said. Bailey was also killed in the crash, which occurred at about 2:30 a.m on Sunday, January 6. Police have yet to determine Bailey’s intended destination, but they believe he entered the interstate from Paris Pike at exit 113 and drove south in the northbound lane for about six miles, police spokesperson Brenna Angel said.